It’s been a while since I’ve posted and I must apologise. It’s been a busy time here at the home of the OMP but never fear, our project is still up and running in full force with lots of things on the horizon! Thanks for sticking with me. Just to recap, our challenge for the month of May was to test out all natural shampoos. In keeping with my theme of evaluating a home made solution when possible I also tried washing my hair with plain old baking soda. A lot of people swear by this super cheap option. I put a few tablespoons in a little bowl and added water to make a paste. Once I had my hair wet, in it went and I scrubbed as best I could. There is no lather with this but that didn’t bother me at all. It washed out nicely and left my hair squeaky clean. I’m impressed with the result. My hair was nicer that day as though a lot of gunk had been washed out. 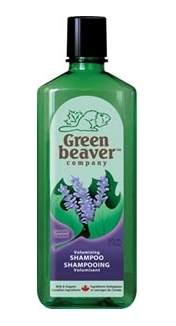 My favourite shampoo was the Kiss My Face, followed very closely by Green Beaver. The Kiss my Face lathers nicely and smells great. I do appreciate a little lather so that is why I am choosing this one. In all honesty, I will probably bounce back and forth between the two with some baking soda washes in there every week to cut down on cost, and give my hair a really good clean. 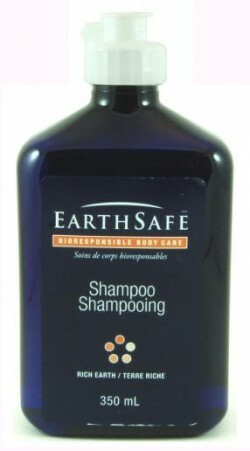 With respect to the Earth Safe shampoo, it did not lather up as much as the other two but it’s still a fine shampoo and definitely the best smelling of the three! Both of my picks are under $10, so for me personally, switching over to an all natural shampoo does not mean spending more money. I have purchased chemical laden salon shampoos for much more than $10. On June 16th I am attending a Ladies “Soiree” (doesn’t that sound like fun?) at Rainbow Natural Foods on Richmond Road in Ottawa. They are handing out some free samples and ladies get 10% off off bodycare products not already on sale . While there I’m going to ask about buying all natural shampoo in bulk. Perhaps I may be able to save some money that way! I’ll keep you posted. As always, I love hearing from you with your comments and questions. Please follow @OttawaMommyProj on Twitter. P.S. Coming for June, something a little different! Come back soon. ← What has The OMP been up to lately? 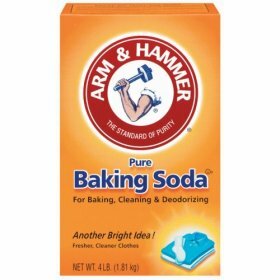 I’m going to try the Baking Soda to remove styling product build-up ! Thanks. Awesome! It really does work. Some people just use it in place of shampoo! I plan to continue once per week, maybe twice. I am looking for a place in Ottawa where I can purchase bulk shampoo and conditioner made locally from local ingredients. I am trying to reduce my plastic consumption, so I am looking for a place that will allow me to fill up my own container. Do you know of a store that does this? Thank you for your question and for your interest in the blog! I have been meaning to research your question so I am glad you wrote. You have spurred me into action. I have my feelers out in the community and I think I may have one lead. I’ll be getting back to you in a few days with my findings. That’s great! I am excited to see what you find! Thanks for your patience! Unfortunately, I don’t have great news. Apparently, at one point, The Arbour Shoppe in the Glebe was selling all natural shampoo in bulk where you could bring your own container. I called this week and they do not do it anymore. The brand they carried was Nature Clean. I called a bunch of stores in the region and did some online sleuthing and came up with nothing. The best option I could find for you at this time is the “Shampoo and Conditioner Bar” made by Pure Soap Works. These bar soaps are found at all the Natural Food stores in Ottawa and are usually between $1.99 and $2.99 per bar. It comes with absolutely no packaging whatsoever. I use some of their facial soaps. I will continue to check on bulk shampoos and let you know if I hear of anything around Ottawa. It would be awesome to have that resource! I continue to be amazed at how much plastic we are still putting in our recycling containers every week! Thank you so much for looking around. I was talking to one of the owners of Kardish around Carling and Kirkwood and she said that we might start to see bulk cleaning products again, but it will take some time. We all need to encourage shop owners to advance a little faster. If there is enough visible demand, then maybe we can all go plastic free a little sooner. Thanks for the good luck! I look forward to seeing the results! Great research! One of the next cosmetic plastic bottles I want to give up is my conditioner. This post: http://nikki-nikkidesigns.blogspot.com/2011/10/link-love.html gave me an idea of how to make my own conditioner! Good luck with what you find – thanks for sharing info so far! Thanks for writing! I look forward to checking out your blog! !